ESL was awarded this project via competitive tender, following a large landslip to the client’s clifftop property in early 2017. 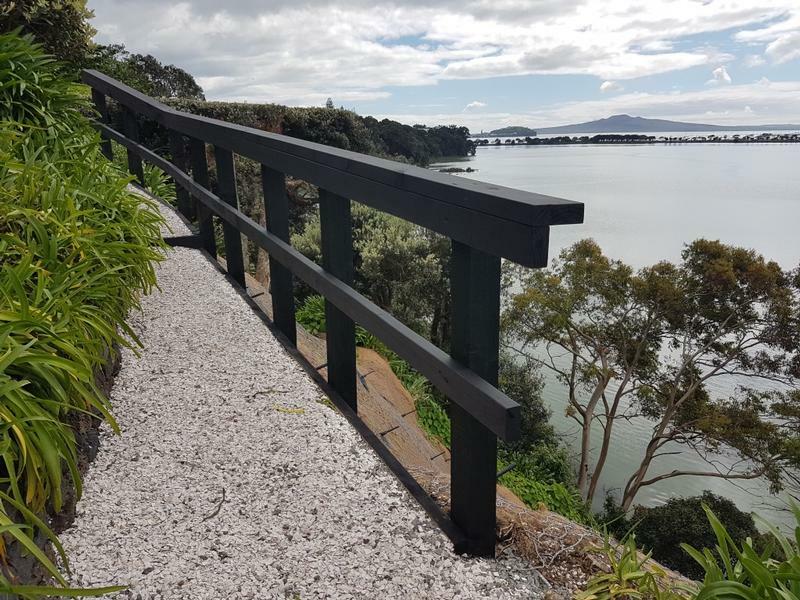 The site had extremely restricted access with access only down one side of the property and with equipment needing to be craned into the works site, which was at the top of a 20m section above Hobson Bay. 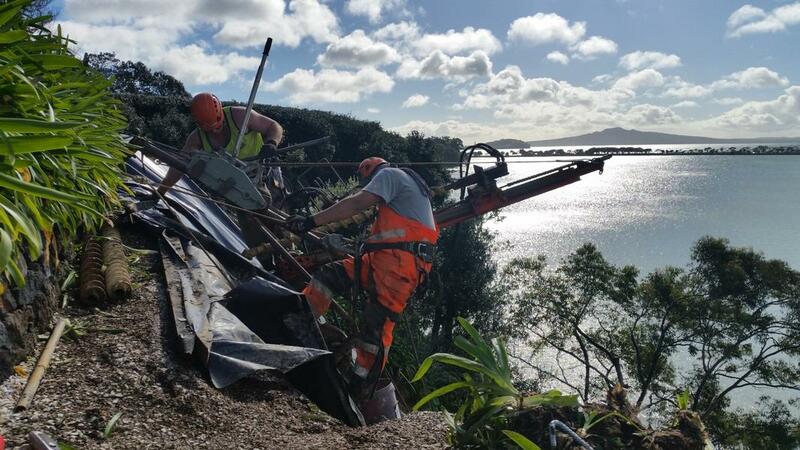 ESL’s highly skilled technical team and specialist ‘one of a kind’ restricted access plant, enabled us to expertly carry out the works, placing paramount importance on the health and safety of employees and residents and the sensitive costal landscape. The permanent works consisted of the following. 39 No. drilled and grouted soil nails requiring 160m of drilling. 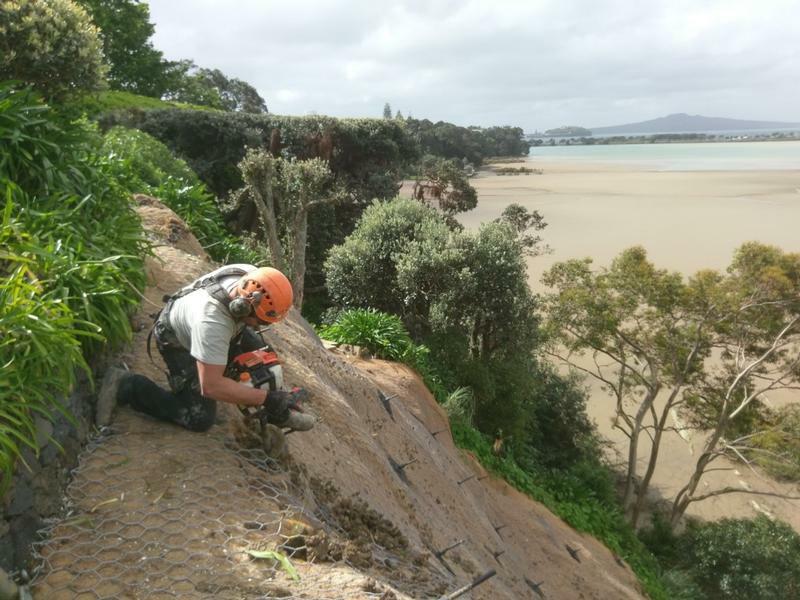 The existing slip was re-contoured by hand then covered with 160m² of Bio Coir matting overlaid with double twist rock fall mesh. 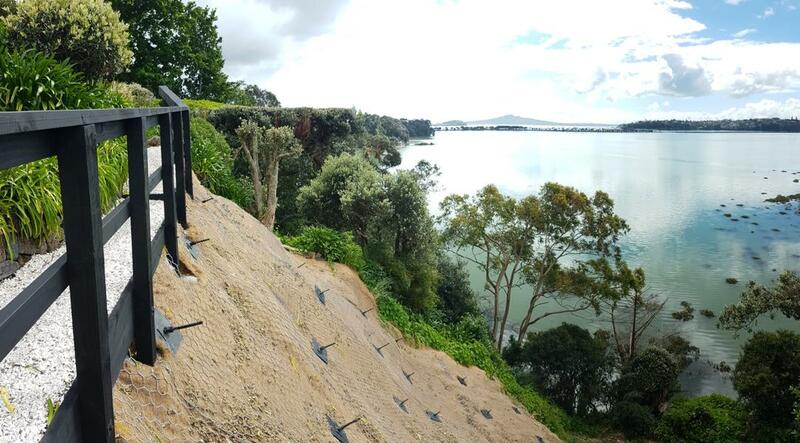 On completion of the works, ESL were also engaged under a variation to the original contract, to design and reconstruct the pathway and to reinstate landscaping, both of which were also lost during the slip. A further challenge in this project, was that the Hobson Bay public walk way runs along the base of the site. Our methodology catered for this. Work was carried out safely, courteously and with great respect for those using this walkway. 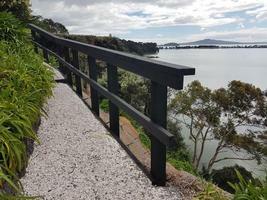 The walkway was therefore able to be safely enjoyed by the public throughout the duration of the works.